“This bill would ensure that our State Department maintains its vital role as an international watchdog and protector of women’s rights,” said Rep. Katherine Clark (D-MA). Democrats in the U.S. House of Representatives introduced a bill Monday that would require the State Department to again include a subsection on reproductive health in its annual human rights report. The State Department is responsible for producing a report each year detailing human rights abuses in each country receiving U.S. foreign aid. Starting under the Obama administration, reproductive health information such as systemic international issues with access to contraception and abortion care was included in the report. That practice ended this year under the Trump administration. The bill, introduced by Reps. Katherine Clark (D-MA), Barbara Lee (D-CA), Nita Lowey (D-NY), Eliot Engel (D-NY), and Lois Frankel (D-FL), was filed on International Human Rights Day and the 70th anniversary of the signing of the Universal Declaration of Human Rights. 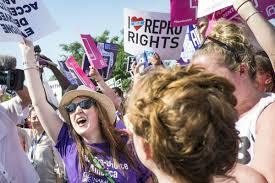 It would require the State Department to recognize reproductive rights in its annual human rights report. In October of this year, 129 Democratic members of the U.S. House of Representatives sent a letter to Secretary of State Mike Pompeo demanding the State Department again include the removed subsection. The bill comes as the Trump administration nominated former Fox News anchor and current State Department spokesperson Heather Nauert to become ambassador to the United Nations. Nauert defended the department’s decision to exclude reproductive health information from the State Department human rights reports. According to a January Politico report, Nauert said in a statement that the way the department “presents the report’s material has changed from time to time,” and that “this year we are better focusing some sections of the report for clarity.” She added that the department was not “downgrading coverage of LGBT or women’s issues.” The subsection of the report was renamed from “Reproductive Rights” to “Coercion in Population Control,” a move which left advocates concerned. This isn’t the first time the State Department has moved against international reproductive health access. The Trump administration reinstituted the “Mexico City Policy”, otherwise known as the Global Gag Rule, immediately after taking office in January 2017. Administered by the State Department, the rule prevents foreign aid from going to organizations which perform, make referrals for, or counsel about abortion care for patients. It has already had a negative effect for pregnant people worldwide. Not gonna happen as long as Melania has access to abortion herself….